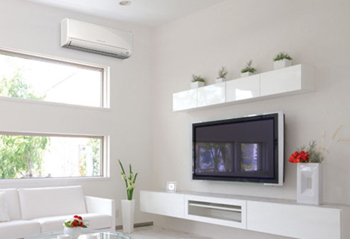 At Enviro-Chill, we understand just how important your refrigerators and air conditioning systems are to the smooth and efficient running of your business. That’s why our service division is on hand 24 hours a day, 365 days a year to attend any breakdown within the refrigeration and air conditioning industry. Our fully qualified and experienced engineers go on regular training sessions to ensure they’re knowledgeable and comfortable with all refrigeration and air conditioning systems and equipment. The majority of our customers require on-going maintenance contracts as part of our service, usually with two scheduled maintenance visits every year. By providing preventative maintenance services, we will help you to avoid unnecessary breakdowns, disrupted business and general inconvenience. Your business has specific needs and requirements, just like your air conditioning and refrigeration systems. In order to provide you with the best possible air conditioning and refrigeration service plans, we offer bespoke contracts that accommodate all your specifications. Whether it’s a simple inspection and written report on recommended works or a fully inclusive contract including parts and labour, Enviro-Chill will create refrigeration or air conditioning maintenance agreements to suit you. As a way to reward our air conditioning and refrigeration service plan clients, we offer preferential rates on our 24 hour call outs. With our air conditioning and refrigeration maintenance agreements starting from just £50 per annum, a service plan with Enviro-Chill simply makes sense. Call us on 0151 2851818 or get in touch online to find out more about our nationwide service plans. Our knowledgeable and friendly sales team are on hand to answer all your questions.